NIFT Application Form 2017: The National Institute Of Fashion Technology has going to conduct the entrance examination to take admissions in Bachelor of Design and Bachelor of Fashion Technology programmes. We have a happy news for students who interested in BDes/ BFTech. The NIFT was recently released the application form on their official site (www.nift.ac.in). The online NIFT 2017 application form is already started to apply and it will closed on 10th Jan 2017. You can also apply till 16th Jan 2017 with late fee of Rs. 5000. The NIFT Application Form 2017 will be available in both online & offline mode. So without any difficulties, you can apply for the NIFT 2017. For further recent updates related to the NIFT 2017, keep watching our examlevel.com site. The candidates who successfully completed HSC/ 10+2/ 10+3 with required percentage/ CGPA from any recognized University, can eligible to apply for NIFT 2017. To know clear information regarding NIFT 2017 by read this article fully. For Online Mode: The candidates who apply for NIFT 2017 through online, can pay the fee using Debit card or Credit Card. For Offline Mode: The people who going to apply offline, need to draw a DD in favor of "NIFT HO" to be payable at New Delhi from any nationalized bank. Visit the official NIFT webpage & click apply online. Then enter the basic details like personal, email, phone. The unique username & password will be sent your registered mail id. Using that, you can login your profile. First login with the registered email ID and password to fill up the NIFT Application Form 2017. Then enter a verification code (CAPTCHA) & click 'Submit' button. Enter the required information like academic qualification, communication, nationality, gender and others. Next upload your recent passport size photograph & signature in prescribed format (must be less than 50KB in JPEG/ JPG format). Before going to submit, read declaration & select 'I agree' by clicking on check box. 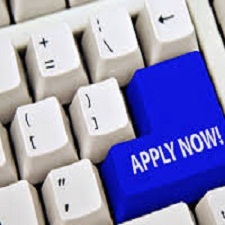 After completed all the process, submit the filled application form along with required documents. The aspirants who going to pay the NIFT 2017 application fee in online mode can submit the application form through online mode only. If your are going to pay the application fee for NIFT 2017 using DD, then you need to send application form along with DD on below given mention address.